Apple’s upcoming news subscription service is one of the most interesting projects Apple is currently working on. Falling subscriptions show that print media is struggling. Apple’s as-yet-unannounced service, which is expected to cost $10 a month for an “all-you-can-eat” news subscription, could throw publishers a lifeline. Based on Apple’s acquisition of magazine subscription service Texture, the new service supposedly will offer a large number of publications for one monthly price. It’s not clear whether this will be divided into tiers. For example, Apple could conceivably offer magazines and newspapers as separate packages. Will Apple’s news subscription service work? The service isn’t guaranteed to work, however. 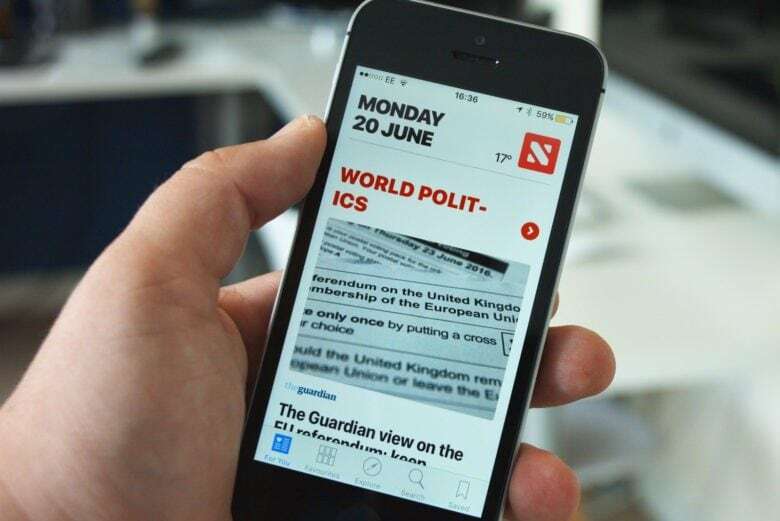 Apple News has reportedly been unspectacular for publishers so far. The first iPad newspaper, The Daily, was a notorious bomb. It’s also not clear if people want a “Netflix of news” in the same way they want a subscription TV or music service. Finally, Apple supposedly aims to take a 50 percent cut of subscription fees for hosting the content. This isn’t to say that Apple’s news service will fail, of course. Getting customers to pay for music seemed a lost cause when iTunes debuted in the Napster era. Apple made it work. Like iTunes, if Apple does prove this model to be a success, it’s likely others will sign up later. Are you interested in Apple’s news subscription service? Let us know in the comments.